get your craft beer here! Some American cities are synonymous with beer – St. Louis and Milwaukee among the old school, Portland, Boston and Denver among the new. 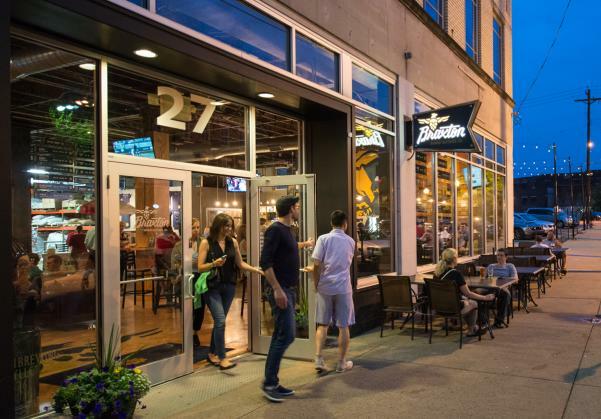 But if Americans&apos; embrace of the burgeoning craft beer movement tells us anything, it’s that this story is really just beginning – and Cincinnati is quickly breaking out as one of the best places to be for beer lovers. 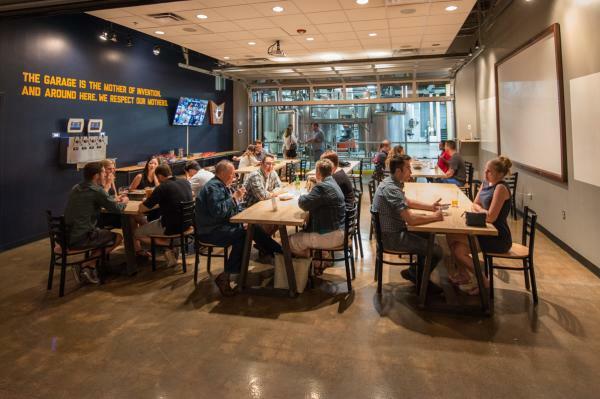 Recent kudos from Fortune to Thrillist to SmartAssett all cite Cincinnati among America’s best new beer towns. Indeed, the number of local and regional breweries here has more than tripled in just the last five years. As 2016 rolled in, more than 20 breweries now serve a rapidly growing and ravenous legion of local loyalists, and news of the next one seems almost routine. That Cincinnati should have to prove its brewing bona fides – again – is somewhat surprising, as the city was one of America’s original brewing giants. Its first brewery opened on the Banks of the Ohio River in 1812, and by mid-century thousands of German immigrants had transformed the industry, and made Cincinnati one of the nation&apos;s foremost brewing centers. By 1860, no less than 36 breweries operated in Cincinnati and Northern Kentucky – and the area was one of the beer-drinkingest, beer-brewingest places in America. Indeed, in 1890 it was dubbed the “Beer Capital of the World” with consumption reaching 40 gallons for every man, woman and child – 2 1/2 times the national average. And what got drank here got brewed here – a golden era of brands like Christian Moerlein, Lion and Hudepohl in Cincinnati, Wiedemann in Newport and Bavarian in Covington. Predictably, as with every great American brewing city, prohibition dealt the region’s rich legacy a harsh blow – and while numerous brands still thrived in the decades after repeal, the subsequent rise of macro-mega-corporate brewers in the 1980s and ‘90s bit hard into those proud native brands. And perhaps it’s all that history that makes today’s resurgence so much sweeter – for it’s fueled by a rich mix of revitalized heritage brands like Christian Moerlein and Hudepohl served right alongside a ridiculous array of provocative and wildly successful newcomers like Rhinegheist, Braxton, and Mad Tree. Bottom line: If you love beer, you’re in the right place. From microbreweries to brewpubs, beer halls to beer tours, this region’s beer scene is quite simply second to none. Northern Kentucky’s first free-standing microbrewery, family owned and named after the street where they first began brewing in their home’s garage. Award-winning seasonal and year-round brews served in a state-of-the-art “taproom of the future”(dog-friendly! And they serve/sell a proprietary coffee brand, Starter, in regular, cold brew and nitro cold brew preps). The first authentic Hofbräuhaus in America, modeled after the legendary 400+ year-old Hofbräuhaus in Munich, Germany. 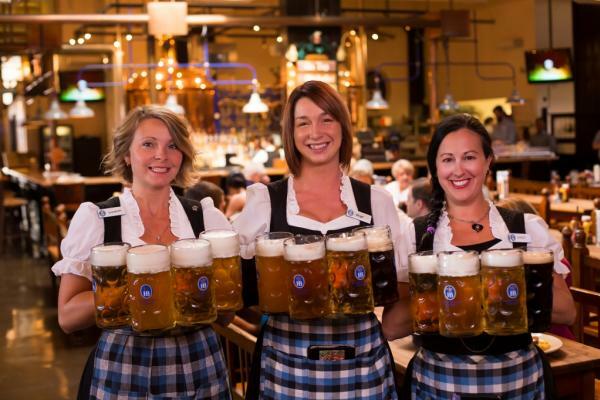 Classic Bavarian brews using original recipes handed down by the Duke of Bavaria. A Brew Master oversees the brewing of our four all year round beer varieties, plus seasonal specialties like Oktoberfest, Maibock, Pilsner and Hefe Weizen Dunkel. 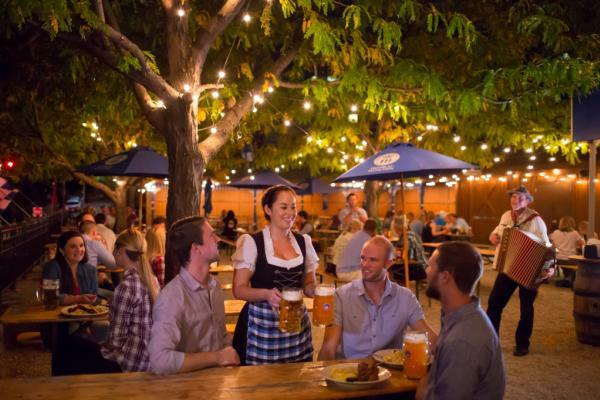 Enjoy a traditional German meal paired with Bavarian beer in the lively Bier Hall or in the Bier Garden overlooking Newport on the Levee and the Cincinnati Skyline.